Tennessee is a state located in the Southern United States. In 1796, it became the sixteenth state to join the Union. Tennessee is known as the "Volunteer State", a nickname it earned during the War of 1812, in which volunteer soldiers from Tennessee played a prominent role, especially during the Battle of New Orleans. The capital city is Nashville. Tennessee lies adjacent to 8 other states, matched only by Missouri which also borders 8 states. Tennessee is bordered on the north by Kentucky and Virginia, on the east by North Carolina, on the south by Georgia, Alabama and Mississippi, and on the west by Arkansas and Missouri. The state is trisected by the Tennessee River. The highest point in the state is the peak of Clingmans Dome at 6,643 feet (2,025 meters), which lies on Tennessee's eastern border. The geographical center of the state is located several miles east of Murfreesboro on Old Lascassas Pike; the site is marked by a roadside monument. The state of Tennessee is traditionally divided by its people into three, culturally distinct grand divisions—East, Middle, and West Tennessee. The Tennessee River is generally considered the dividing line between Middle and West Tennessee. The Cumberland Plateau is generally considered the dividing line between East and Middle Tennessee. The area now known as Tennessee was first settled by Paleo-Indians nearly 11,000 years ago. The names of the cultural groups that inhabited the area between first settlement and the time of European contact are unknown, but several distinct cultural phases have been named by archaeologists, including Archaic, Woodland, and Mississippian whose chiefdoms were the cultural predecessors of the Muscogee people who inhabited the Tennessee River Valley prior to Cherokee migration into the river's headwaters. When Spanish explorers first visited the area, led by Hernando de Soto in 1539–43, it was inhabited by tribes of Muscogee and Yuchi people. For unknown reasons, possibly due to expanding European settlement in the north, the Cherokee, an Iroquoian tribe, moved south from the area now called Virginia. As European colonists spread into the area, the native populations were forcibly displaced to the south and west, including all Muscogee and Yuchi peoples, including the Chickasaw and Choctaw. From 1838 to 1839, nearly 17,000 Cherokees were forced to march from Eastern Tennessee to Indian Territory west of Arkansas. This came to be known as the Trail of Tears, as an estimated 4,000 Cherokees died along the way. Tennessee was admitted to the Union in 1796 as the 16th state, and was created by taking the north and south borders of North Carolina and extending them with only one small deviation to the Mississippi River, Tennessee's western boundary. Tennessee was the last Confederate state to secede from the Union when it did so on June 8, 1861. After the American Civil War, Tennessee adopted a new constitution that abolished slavery (February 22, 1865), ratified the Fourteenth Amendment to the United States Constitution on July 18, 1866, and was the first state readmitted to the Union (July 24 of the same year). Tennessee was the only state that seceded from the Union that did not have a military governor after the American Civil War, mostly due to the influence of President Andrew Johnson, a native of the state, who was Lincoln's vice president and succeeded him as president, due to the assassination. In 1897, the state celebrated its centennial of statehood (albeit one year late) with a great exposition. The need to create work for the unemployed during the Depression, the desire for rural electrification, and the desire to control the annual spring floods on the Tennessee River drove the creation of the Tennessee Valley Authority, the nation's largest public utility, in 1933. During World War II, Oak Ridge was selected as a U.S. Department of Energy national laboratory, one of the principal sites for the Manhattan Project's production and isolation of weapons-grade fissile material. Tennessee celebrated its bicentennial in 1996 after a yearlong statewide celebration entitled "Tennessee 200" by opening a new state park (Bicentennial Mall) at the foot of Capitol Hill in Nashville. The earliest variant of the name that became Tennessee was recorded by Captain Juan Pardo, the Spanish explorer, when he and his men passed through a Native American village named "Tanasqui" in 1567 while travelling inland from South Carolina. European settlers later encountered a Cherokee town named Tanasi (or "Tanase") in present-day Monroe County, Tennessee. The town was located on a river of the same name (now known as the Little Tennessee River). It is not known whether this was the same town as the one encountered by Pardo. The meaning and origin of the word are uncertain. Some accounts suggest it is a Cherokee modification of an earlier Yuchi word. It has been said to mean "meeting place", "winding river", or "river of the great bend". The modern spelling, Tennessee, is attributed to James Glen, the Governor of South Carolina, who used this spelling in his official correspondence during the 1750s. 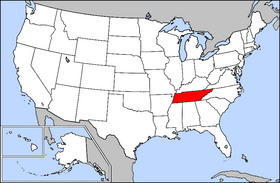 In 1788, North Carolina named the third county to be established in what is now Middle Tennessee "Tennessee County". When a constitutional convention met in 1796 to organize a new state out of the Southwest Territory, it adopted "Tennessee" as the name of the state. Tennessee's governor holds office for a four year term and may serve any number of terms, but not more than two in a row. The speaker of the state Senate has the title of lieutenant governor. The General Assembly (the state's legislature) consists of the 33-member Senate and the 99-member House of Representatives. Senators serve four year terms, and House members serve two year terms. The highest court in Tennessee is the state Supreme Court. It has a chief justice and four associate justices. The Court of Appeals has 12 judges. The Court of Criminal Appeals has nine judges. Tennessee's current state constitution was adopted in 1870. The state had two earlier constitutions. The first was adopted in 1796, the year Tennessee joined the union, and the second was adopted in 1834. According to the U.S. Census Bureau, as of 2003, Tennessee's population was 5,841,748 people. The five largest ancestry groups in Tennessee are: American (17.5%), African American (16.4%), Irish (9.3%), English (9.1%), German (8.3%). African-Americans once made up 28 percent of the state's population and are 16 percent today. The state's African-American population is concentrated mainly in West Tennessee and the city of Nashville. 6.6% of Tennessee's population were reported as under 5, 24.6% under 18, and 12.4% were 65 or older. Females made up approximately 51.3% of the population. According to U.S. Bureau of Economic Analysis, in 2003 Tennessee's Gross State Product was $199,786,000,000, 1.8% of the total Gross Domestic Product. State sales tax is 7% (6% on nonprepared food), while the counties charge an additional 2.25% for a total of 9.25% across Tennessee. Some cities charge additional 0.50% sales tax, leading to a total of 9.75%: some of the highest sales taxes in the United States. The overall state tax rate is relatively low, however, as Tennessee does not tax wage and salary income (although it does tax unearned income). Tennessee is a right to work state. The current capital is Nashville, though Knoxville, Kingston, and Murfreesboro have all served as state capitals. 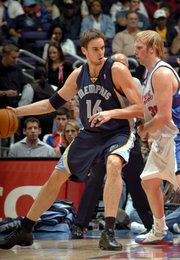 Memphis has the largest population of any city in the state, but Nashville has a larger metropolitan area. Chattanooga and Knoxville, both in the eastern part of the state near the Great Smoky Mountains, each have approximately a third of Memphis or Nashville's population. The three cities of Bristol, Kingsport, and Johnson City make up a fifth significant population center, often called the "Tri-Cities", in the far northeast of the state. As of 2000, the population is 5,689,283. "Birthplace of rock and roll"
Historic railway center for three states originally known as Johnson's Depot and later as "Little Chicago"
Chartered in 1917 as "the Model City"
The Tennessee Valley Authority is based in Knoxville. On August 18, 1920, Tennessee become the thirty-sixth and clinching state to ratify the 19th Amendment to the U.S. Constitution, allowing women the right to vote. The USS Tennessee was named in honor of this state.